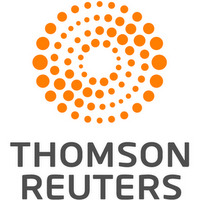 Aug 5 (Reuters) - Chicago police were preparing to interrogate two university officials who were arrested in California on Friday and charged with a fatal July stabbing that investigators believe stemmed from a domestic dispute. Northwestern University professor Wyndham Lathem and Andrew Warren, an employee of Britain's Oxford University, are in custody in California and are expected to be transported to Illinois in the coming days, Chicago police spokesman Frank Giancamilli said on Saturday. He declined to provide details on why police believe the two men killed Trenton Cornell Duranleau in Chicago on July 27. "At this point, we're just saying it's domestic in nature," Giancamilli said. "We have a few theories but don't want to comment until we talk to them." 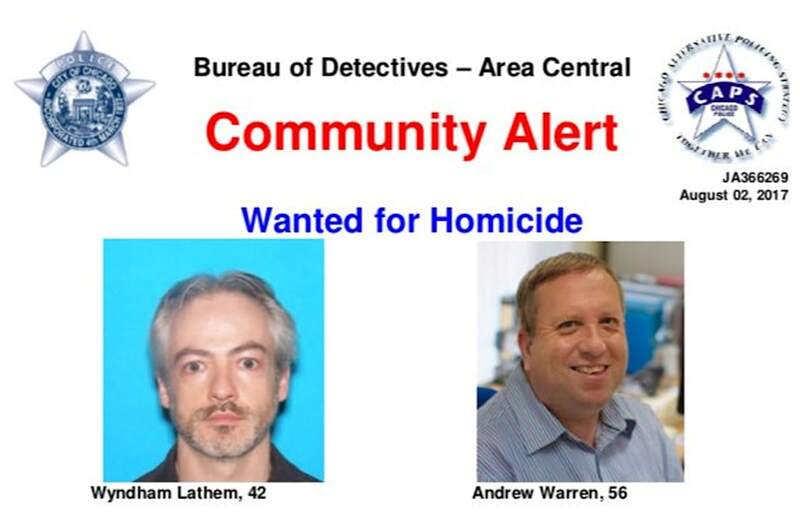 A wanted poster distributed by the Chicago Police Department shows suspects Wyndham Lathem, 42, an associate professor of microbiology and immunology, and Andrew Warren, 56, a financial employee at Britain's Oxford University, in this image released in Chicago, Illinois, U.S. on August 3, 2017. Courtesy Chicago Police Department/Handout via REUTERS ATTENTION EDITORS - THIS IMAGE WAS PROVIDED BY A THIRD PARTY. Lathem, an associate professor of microbiology and immunology, sent family and friends a video apologizing for the slaying, police said. He surrendered in Oakland, California, and Warren was arrested in nearby San Francisco, according to the U.S. Marshals Service. Authorities had been in touch earlier in the week with Lathem's family and a lawyer, who helped negotiate his peaceful surrender, said Supervisory Deputy U.S. Marshal Frank Conroy. "They were very concerned," Conroy said on Saturday. Lathem refused to say anything to authorities after he was taken into custody, Conroy said. Lathem, 42, will be arraigned in Alameda County, California, on Monday, jail records showed. The arraignment date for Warren, 56, was not listed. Both are charged with murder. It was not clear if either man had hired a lawyer. Duranleau's body was discovered in Lathem's Chicago apartment, according to the Chicago Tribune. The 26-year-old victim had stab wounds to his back, and investigators found one knife with a broken blade in the kitchen's trash can and another near the sink, the newspaper reported, citing unidentified law enforcement sources. Lathem and Duranleau knew each other and had "some type of falling out," Chicago police spokesman Anthony Guglielmi previously told the Tribune. It was not clear how Warren, who was visiting from Britain, knew the other two men. Warren is a senior treasury assistant at Somerville College, part of the Oxford University network, the school said. Earlier in the case, the manhunt took police to Lake Geneva, a resort community in Wisconsin. A day after the killing, a man who police believe may have been Lathem made a $1,000 donation in the victim's name to a library in that town.